There are some very obvious mistakes in this email scam that many people might miss. the ATO does not refund to credit cards, only bank accounts. 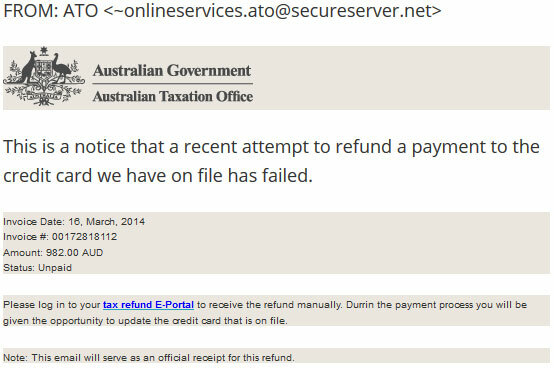 the ATO doesn’t keep credit card details on file, so clicking to update would be dangerous. the email address is not a government email address. and then of course there are spelling errors. Please don’t click on the link and attempt to update anything.